i could finally take out my bike and cruise with miguel today! SO HAPPY. quick and snappy post today! HAPPY EASTER to all those celebrating! The last photo is so extremely beautiful! I love this pink bike! that bike is the cutest! Love the hello kitty sneakers! 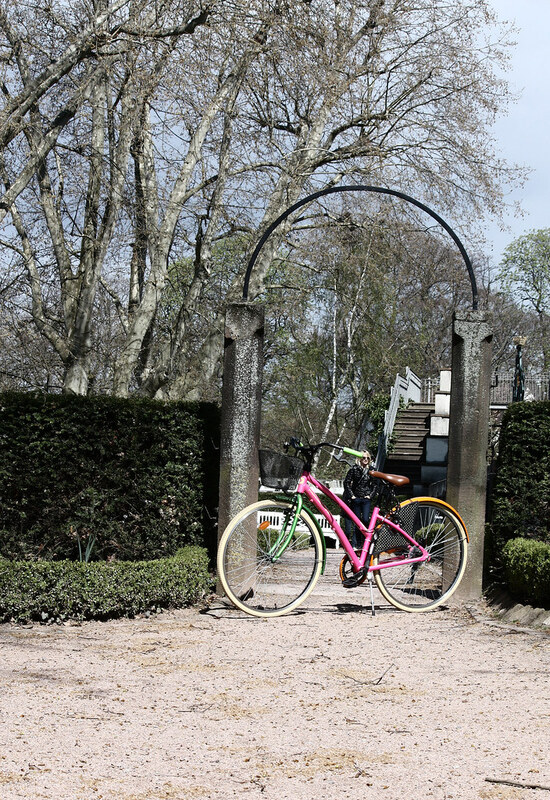 The bicycle and your shoes are total eye candy. The bike and shoes are so cute! this is sooo extremely cute! I love the bike and those shoes! 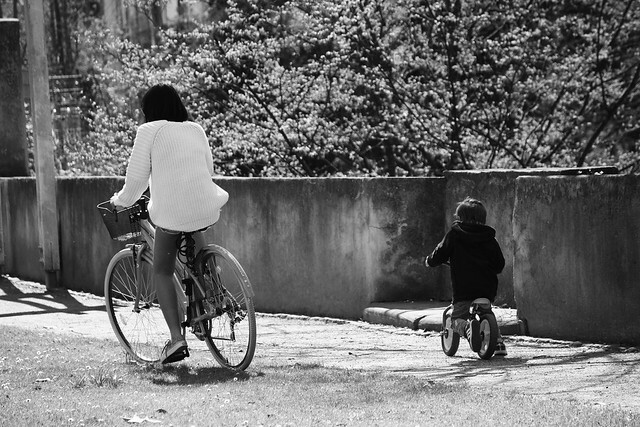 you and your son on your bikes is so sweet! happy easter! gorgeous photo! I love it! OMG what a cute bicycle! 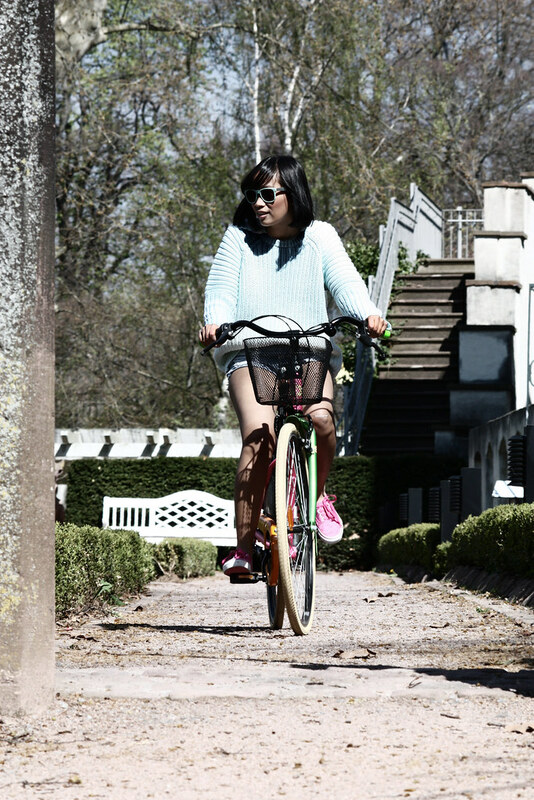 Oh just totally adore the bike, I think it would help me to here in the Dutchyland to have a bike like that haha. And of course I totally love the last black and white pic, that is just cute and cool all together!! amazing bike !! Thank you for your nice comment:) sweatheart<3 You look wonderful in your hello kitty sneakers! Happy Easter!!! Love the photos.. and your style! HAPPY EASTER deary! I love your bike, makes wanna take a ride! Btw: If you wanna win an adorable DIESEL purse, come and join me, I’d be happ! Gosh I love your bike!!!! What a cute vans you have! Perfect outfit for cycling with son and your bike is so great! These pictures are SO perfect!